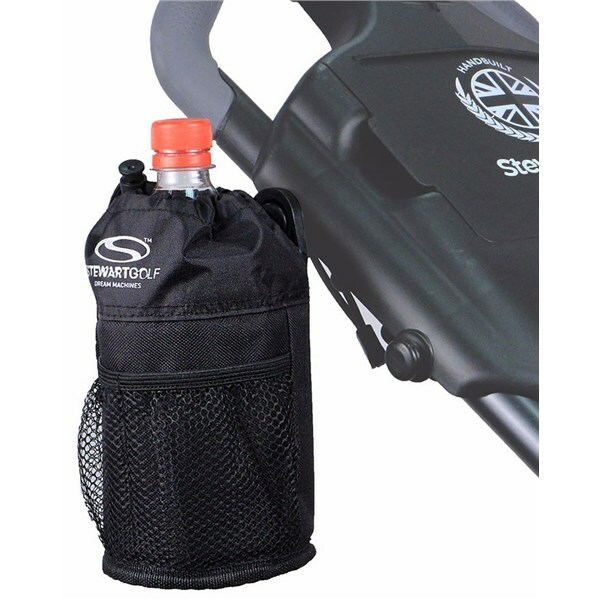 The Stewart Golf Insulated Drawstring Bottle Holder will easily clip to your Stewart Golf trolley and allow you to have a drink at arm’s reach during your round of golf. 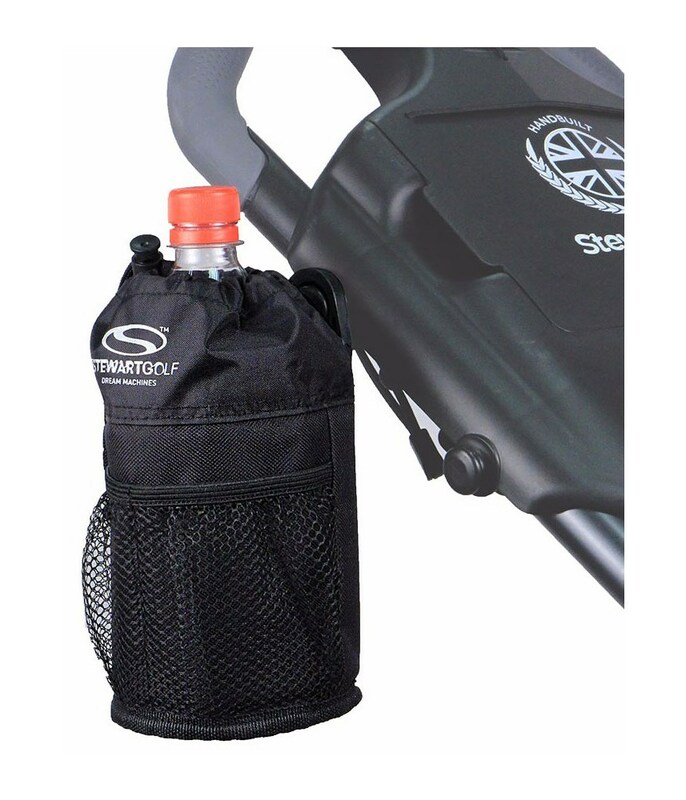 Large enough to hold a can or a larger bottle, the bottle holder features a drawstring closure mechanism to prevent the bottle or can dropping out. 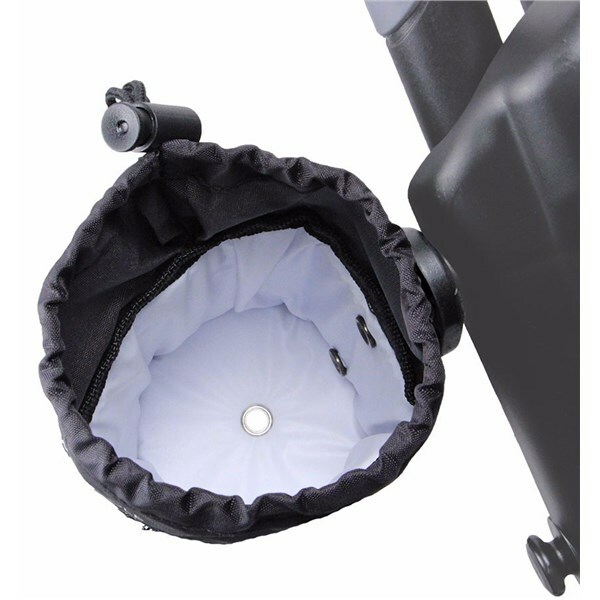 Incorporated into the design is a drainage hole that will allow any excess moisture from the bottle to drop out. 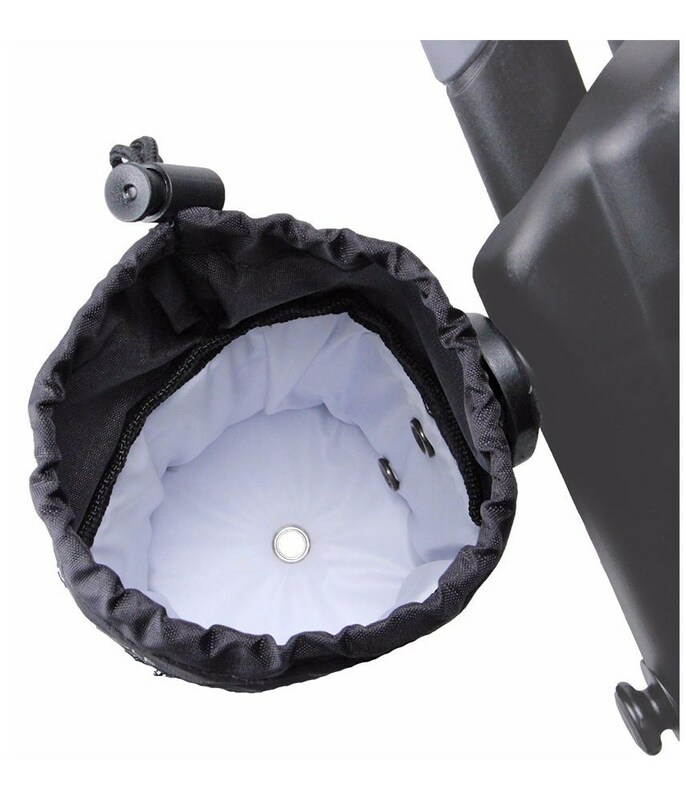 A netted storage pocket on the side of the bottle holder is ideal to store things like gum, a chocolate bar or another smaller snack.